Middlesex University in Hendon, North West London, England is located within the historic county boundaries of Middlesex from which it takes its name. 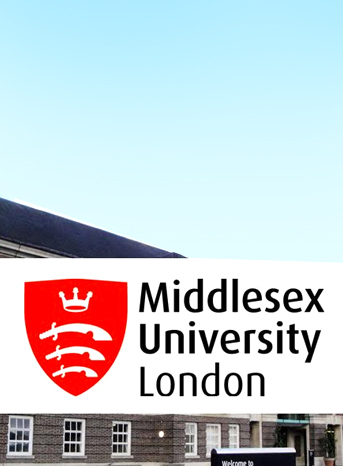 A relatively newer University the Middlesex University is a member of the Million+ working group. In 2012, the University re-structured its academic schools to align them more closely to the needs of the industry. Courses at Middlesex are now delivered by the Schools of Business, Law, Art and Design, Health and Education, Media and Performing Arts, Science and Technology, alongside the Institute for Work Based Learning. In 2016, the University was recognised as a first-class teaching institution and it was ranked among the 150 best young universities of the World in the Times Higher Education’s Top 150 World Universities under 50 survey. Genesis Global School has a Memorandum of Understanding for Progression of Prospective Students to Middlesex University after passing Grade 12 for possible enrolment to courses of study at the campuses of the University in London.